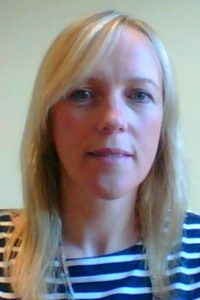 Michelle Roche is a Lecturer and Principal Investigator in the discipline of Physiology at National University of Ireland Galway (NUI Galway). A B.Sc. (Hons.) and M.Sc. graduate of NUI Galway, she has worked as a research assistant in Prof Rita Valentino laboratory at the Children’s Hospital of Philadelphia and University of Pennsylvania (2001) examining neural circuitry underlying stress-induced changes in the brain. Her Ph.D work involved characterising behavioural and physiological responses in models of depression (2002-2005), while her interest in pain research stemmed during her post-doctoral research fellowship examining the role of the endocannabinoid system on stress-induced changes in pain responding and inflammation (2005-2008). She was appointed Lecturer in Physiology at NUI Galway in 2008 and she has continued her research interest in evaluating the neurobiological mechanisms underlying the cross-talk between psychiatric disorders, pain and inflammation. Dr Roche’s research employs a preclinical, whole systems approach to evaluating the neurobiological mechanisms underlying pain and associated co-morbidities and identifying novel therapeutic targets. Current projects focus on (1) elucidating biological mechanisms underlying the association between depression and pain (2) generation of novel animal models of pain-affect co-morbidity, (3) examining altered pain responding associated with early-life adversity and autism.